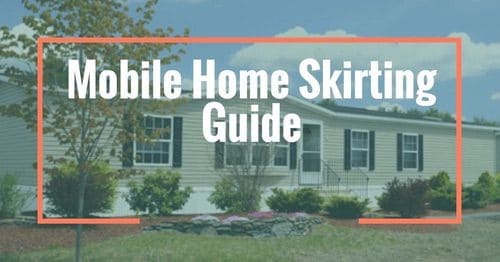 Everything has to start from something and the mobile home history is very rich. 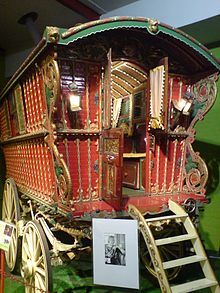 The original mobile home dates as far back as the early 1500’s. Fast forward to a brand new country and new people coming to that country finding a better way of life, some succeeded, some didn’t. The first “movable” home in the US was on the Outer Banks of North Carolina. When the tide went up a team of horses would move the home to a safer location on the beach. 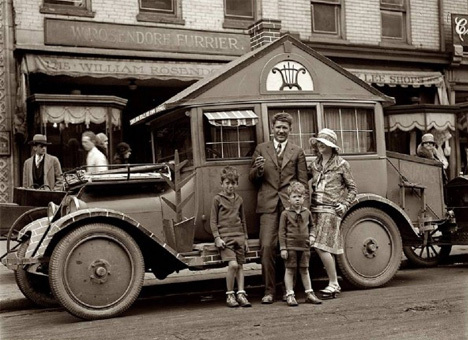 Add the invention of the automobile in the early 1900’s and you have what, we today, consider a true mobile home. People found that in order to support their family they had to be able to move wherever the work was. 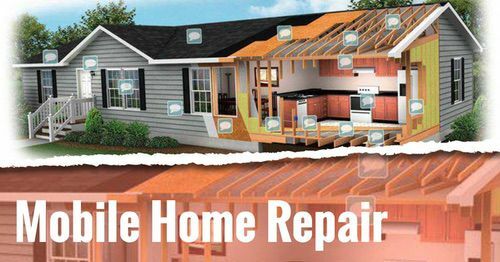 The hybrid home and auto was probably some guys way of solving his biggest problem: how to move his wife and kids comfortably and without them fussing the whole drive and still be able to make a living selling his trades. It was a genius’s way of solving the problem. I found this and all the rest of the pictures to follow on Dornob. I’ve researched to find more information on this hybrid but couldn’t. I’m only guessing that this was not mass produced by a company. I could be wrong. The next wave of mobile home inventions and designs came from pull-trailers used for camping. A man that didn’t want to camp in a tent came up with a way to pull a cart with his car. The cart’s roof was raised up once it was at the camp and they would sleep in it. Of course, progress happens and better designs follow. By the mid-1940’s the trailer that the cars could pull averaged 8 ft. wide and 20 ft. long. It could sleep several but had no bathroom. Later that decade, the length went to over 30 ft. long and bathrooms were installed. By this time the men who had fought in WWII were coming home in masses and cheap housing was a necessity. 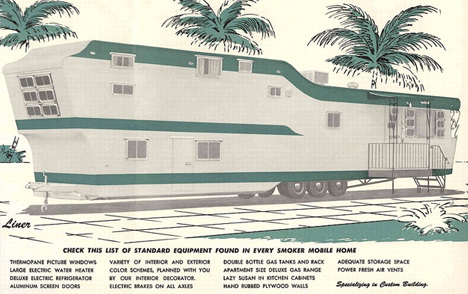 Mobile homes were a great fit for many and the industry continued to evolve and flourish. This is a fine example of the era. The designs were ever changing and improving year after year. Some mobile homes even had 2 stories. I personally would love to have one of these. They are awesome! These pictures are just 2 of the many, many different designs you could choose. They were made with every attention to detail, from a lazy susan to an apartment sized gas range. You could choose your color schemes, layout and appliances. From the single wide evolved the double wide and now today there’s even triple wide homes. In 1976, the US Congress passed the National Mobile Home Construction and Safety Act (42 U.S.C.). This was necessary to hold the industry to a high standard and to ensure that everything they put in the mobile home was safe. In 1980 Congress, due to pressure from the industry itself, changed the name mobile home to manufactured housing on the bill. 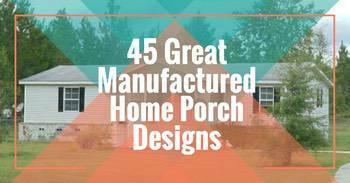 I guess they wanted to update the image of the industry, and “manufactured home” evokes a higher class of product. There is very little difference in the two though. One is made without regard to the site the home will eventually sit on and is completely built in a factory and the other takes the site into consideration, waiting till it gets there to put the home together. To know the history of something is to understand it better. Now that we have glimpsed thru mobile homes history I hope you can be proud of it. Mobile Homes evolved from necessity. Man has always adapted his surroundings to him and the mobile home is a prime example. 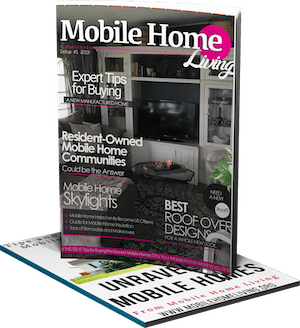 Thank you for reading Mobile and Manufactured Home Living. If I had to guess, the ‘no house trailers’ would mean anything built before 1976 which is when HUD code/regulation mandated better building codes for factory-built housing. 5th wheels are considered a recreational vehicle and are not built to HUD standards at all so most towns/parks/municipalities/etc will not allow RV’s or ‘mobile homes’ or ‘trailers’ used for full-time living (aka house trailers). There’s a real problem across the nation when it comes to the terminology and words used. Technically, a mobile home is a factory-built house created for full-time living that was built before 1976 and doesn’t meet any HUD code. 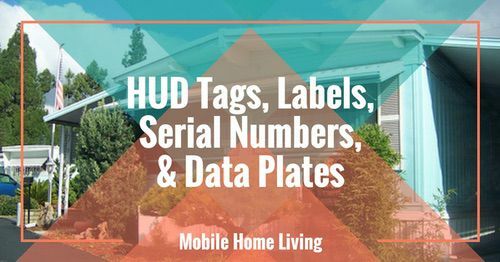 Manufactured homes are any factory-built home that was built after June 1976 and does meet the minimum HUD code. The term trailer is used for both in the Southern states. I’m Theodore A. Wolfe. Guerdon T. Wolfe was my father’s full brother. Norman C. Wolfe was my father’s (Roland O. Wolfe) half brother from grampa’s first marriage. Guerdon T. Wolfe built General Coach, and Great Lakes Industries in Marlette. I believe Uncle Guerdon had something to do with Marlette Homes also, but don’t know for sure! My father lived in Detroit,Mich. when he was young in a17 foot trailer, one of uncle Guerden’s first built units. Dad always said the canvas roof leaked like a side! Dad problem had something to do with the first trailers but can’t remember! I know uncle Guerdon and dad started the prototype unit in Snover. Also I understand that Your great grandfather (Norman) was Vice President of all the trailer corporations in the world at one point. He was a great man, very intelligent and would give a $50 bill whenever we seen him and my aunt Ruth at family dinners on the farm in Snover! Uncle Norman’s father, Theodore A. Wolfe the first was a brilliant man I understand and probley had his input also. I was very young back then, but can remember a few things my father told me. We still own the farm where your Great Grand father was raised in Snover. I hope this gives you an idea how great these people were. You can email me if you like at [email protected] if you like. I probley won’t be back on the site again. Guerdon T. Wolfe was my uncle and your great grand father was also my uncle. I could tell you more about them if you like. E-mail me at [email protected] hotmail.com if your interested. That is awesome! Do you have any photos or memories you’d like to share? My email is [email protected], I’d love to hear about them! I am interested in the early days of manufacture of mobile homes and campers. I lives in Marlette, MI which had several factories==Marlette Coach Co., General Coach Works, Guerdon Homes, and Active Homes. My dad worked for three of these, remembers a man who painted a hunting scene on the back of each Marlette camper (White tailed deer, Pheasant, Ducks). I went to school with Earl Swett’s granddaughter (a founder of Marlette Homes), and Guerdon Wolfe’s grandson, a founder of a Mobile Home Company. Was Marlette a pioneer location? Or was Elkhart (I lived there for six years too). Lucky you! As far as I know, Elkhart, IN is considered the mobile home capital and is the home of the Mobile Home Hall of Fame. They apparently have an amazing library that would be a great place to visit if you’re in the area. I would love to visit someday so if you ever do get there PLEASE take images for me. I would love to hear some of your stories about the towns back when the mobile home industry was in full swing. So glad you commented. Please keep in touch! Sad to say I currently live in a Marlette mobile home n drain in jutchen won’t drain. Was told the drain vent is on top of the house. Never heard of such. Is this true? So, your vent stack is the pipe going through your walls and out your roof. It takes the sewer smell away from the house and keeps the waste lines/system in a neutral state so it can flush out the waste. It could be a clog in your vent stack but 90% of the time if it’s a kitchen you have a clog in your or around your P-trap from grease buildup. It’s particularly tricky because snaking these clogs don’t really work as the clog just closes off again as you pull the snake back. You may have to open up the pipe and clean it out by hand. If it’s not that you can try installing an auto vent under your sink, that will act as a mini stack vent. I am interested in finding out more information on our family’s trailer. We lived in it from about 1953 to 1956. My older brother says it was a Pratt, was 39 feet long and unusual in that it had three axles. Can you help me? I’d love to see a photo or a diagram of the interior. There have been hundreds (maybe thousands) of models made over the decades so finding information on an exact vintage home is pretty hard. Google search is amazingly accurate though if you type in as much info as you can about it. You may stumble upon a brochure or someone talking about it in an article. Best of luck! I’m trying to find information on Elcar Trailerized Homes. Do you have any suggestions on where I might start? If you go to Facebook and search for vintage mobile home groups and/or elcar you’ll find several groups that are very active. Join the group and make a post asking about information. 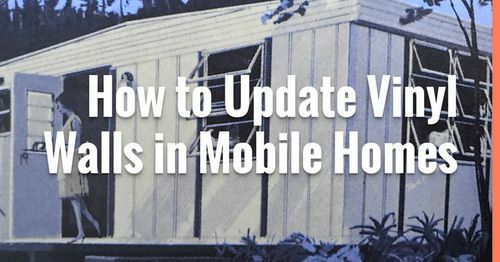 You may want to order the digital reproductions of the mobile home magazines for the era you are interested in and hope there is an article or press release or ad about them. You can find them for around $10 for several on a CD. If you are close to Elkhart IN there is a mobile home hall of fame that has an extensive library too. 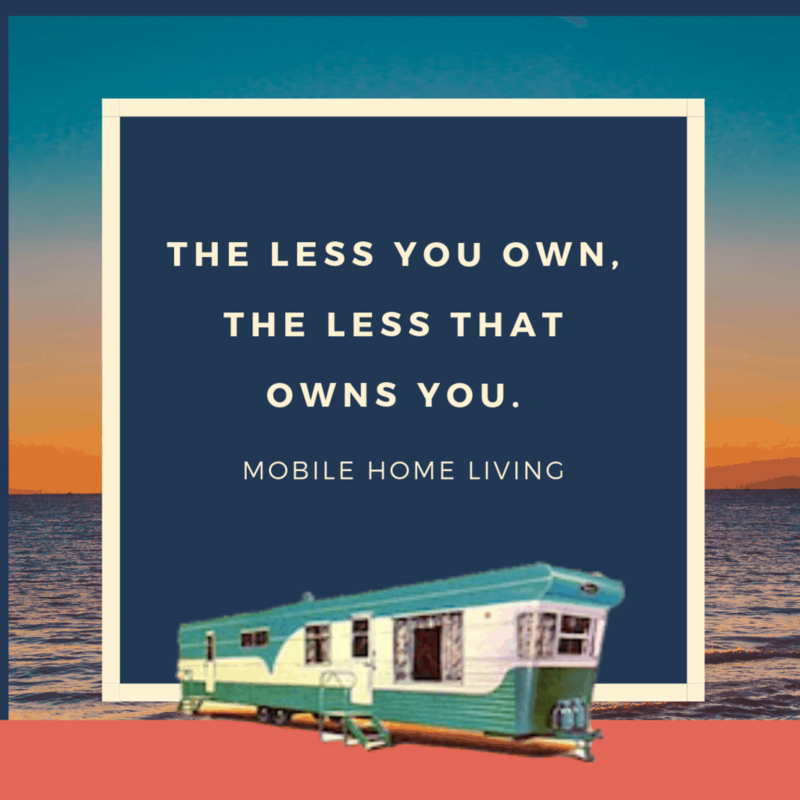 Unfortunately, there isn’t a lot of resources on vintage mobile homes so we have to turn to people that are just passionate about them and hope they can help. There really isn’t any particular database available for all the mobile homes built in the last century. There were hundreds of builders that manufactured thousands of different models so it’s near impossible to keep track of them all. With that said, the MHMA is Mobile Home Manufacturers Association and TCA is Trailer Coach Association (if I recall correctly). 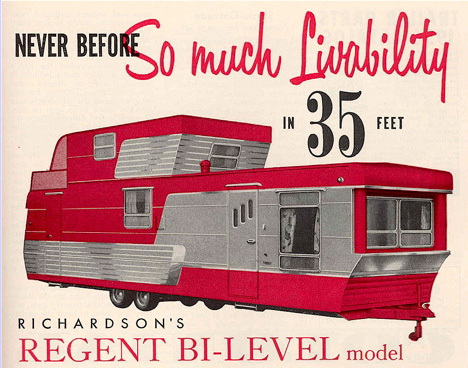 They began using mobile home in lieu of trailer in 1954. There were a few different builders that used the slant kitchen design; Greer and American Coach are probably the two best known. The slant kitchens came out in the late 1950’s/early 1960’s. The article has a few images that may help you narrow down which home you have. Best of luck – let me know if you figure it out!